Help Documents - Version 5 Banquet Table WizardHow do I add an empty table? 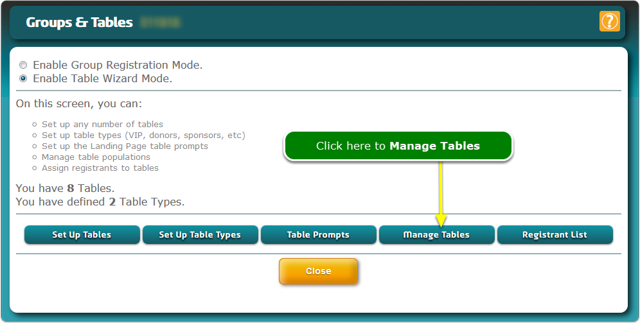 You will be able to add an empty table on the Manage Tables window. How are empty tables used? Admins create an empty table and give the table code to a table captain who then proceeds to register people into the table. 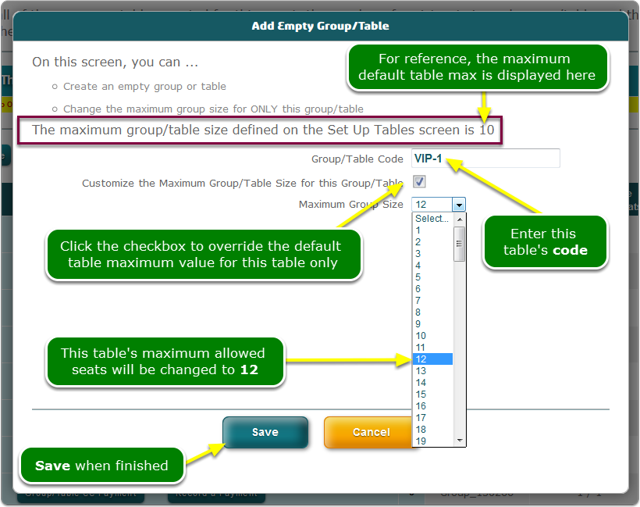 Assign a Table Code - if you have more than one of the same table type, add a sequential number suffix to the code. Prev: How do I sort a column in the Registrant List? Next: How do I add and remove table registrants?